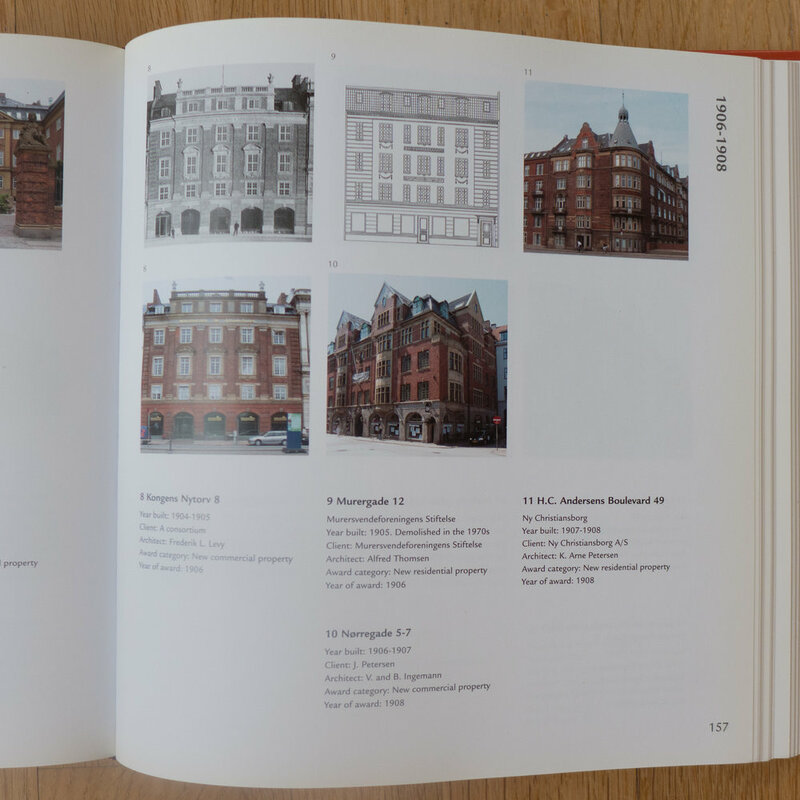 The Award-Winning City, Hans Helge Madsen and Otto Käszner published by The Danish Architectural Press in 2003. 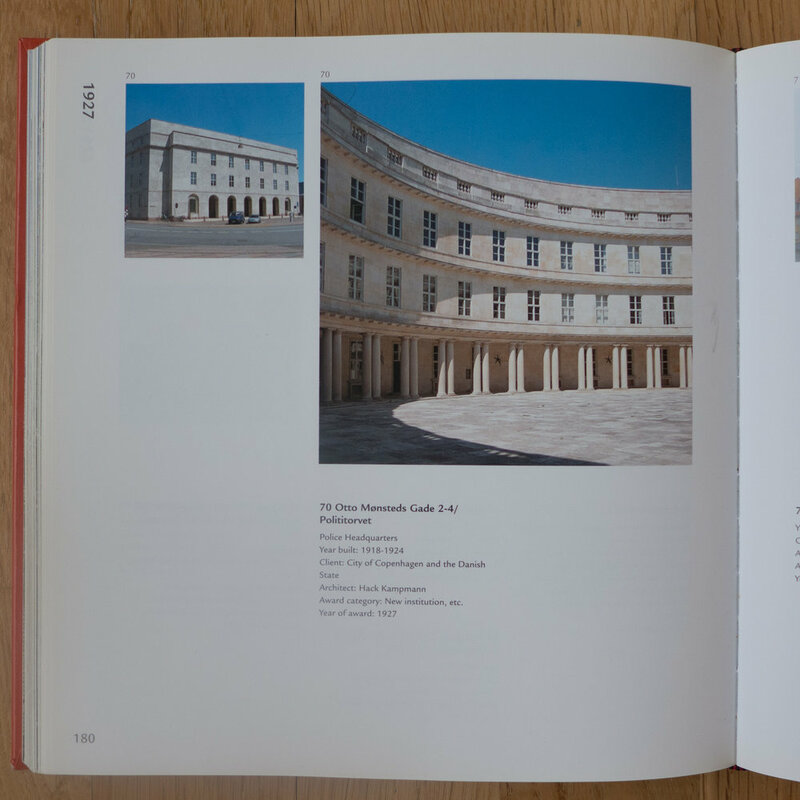 Book reviews here are normally for new or recent publications or at least for books that are still available but this is a fascinating gazetteer - a very useful introduction to the architecture of the city - that can still be found in second-hand book shops. 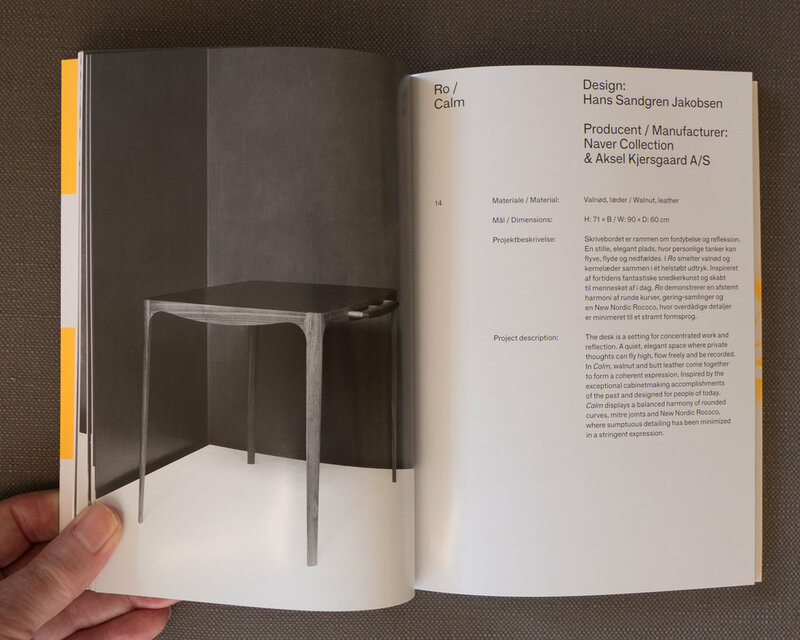 Styles and materials go in and out of fashion and, as you look through these awards, they record trends in architecture and throw a spotlight on social and economic pressures through each period and record, at least in part, priorities for planning in the city. Through the first decade or so, there are a number of large buildings in red brick and with ornate features and decoration in stone - particularly the buildings around the town hall and along the streets and blocks to the north. These are certainly not what we would understand now to be modern architecture but these were clearly appreciated as some of the best buildings of the period. The city defences were dismantled only in the 1870s and the development of that land and the expansion of the city outwards beyond the defences and beyond the lakes made a profound difference to the city. These brick buildings were mainly new offices and new commercial properties around a new town hall. Walking into the city from the main railway station few people would see this as a deliberately-planned commercial district but that is what it was and that is what the Building Awards celebrated. Many of the later buildings respect that - so Den Permanente, where the best of Danish design was shown though the 1930s and 1940s was in this area, just west of the station, and the Association of Danish Industry was and still is here close to the City Hall. The SAS Hotel was, in part, here because as the air terminal for SAS it was planned to be the entry point to the city for foreign businessmen and politicians flying into Copenhagen. Even the Design Museum, when it first opened, was here in the red-brick building immediately west of the city hall on the edge of the Tivoli Park. What was “modern” about these buildings was their scale, their focus on purpose-built commercial buildings such as hotels and buildings with public or state or political functions - so should include the Carlsberg Glyptotek and academies and institutions like the prison south of the city hall - and there was a common agreement on an appropriate style - so in the 1870s and 1880s French influence - it is HC Andersen Boulevard - but then by the turn of the century Italian - perceived as historically the architecture of banking and of wealthy merchants - and then by the time the Free Port opened in 1904 - a renewed self confidence in Denmark so looking back to the architecture of 17th-century Denmark - a comfortable and appropriate form of nationalism. Later, the awards recognised very different types of building and the political and economic changes of the 1920s and 1930s with a change of political focus so a large number of the new apartment buildings that were constructed around the city through the 1920s and 1930s received awards. As the city expanded out into new suburbs, traditional individual homes and new housing was recognised with awards so Bakkehusene by Ivar Bentsen and T Henningsen in 1923. Of course, styles still go in and out of favour … several concrete buildings that are less appreciated now have received awards so, for instance, the housing in Princessegade by Tegnestuen Vandkunsten in 2001 might seem rather brutal and certainly out of fashion now but might well return to favour as an antidote to just too many glass or cladding and aluminium boxes. 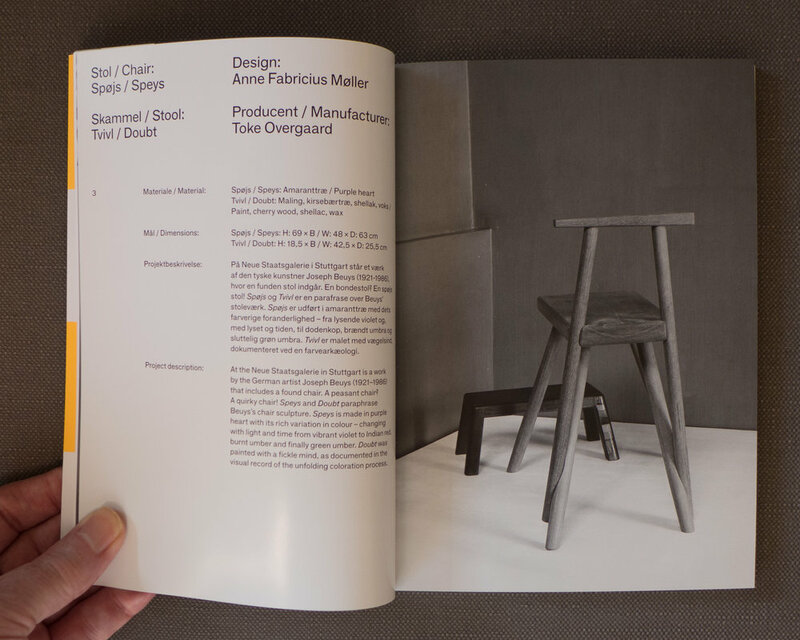 Vibeke Rohland, the Copenhagen textile artist and designer, has just published a major book on her print series BlackStar 1-180 with studies exploring the theme of her signature design of the plus sign over-layed.